Bottled water is expensive. 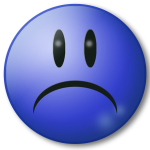 However, drinking bad tasting, still partially contaminated tap water is not good for your health. Poor health is even more expensive. The solution anyone can afford is a water filtration pitcher that strips contaminates out of your drinking water and alkalizes it for optimum health. 3 How much does the Pitcher of Life Cost? 1-year manufacturer’s warranty– the minimum you should consider when purchasing an item like this. 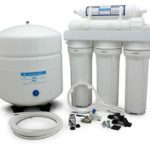 This unit, made by the company Life Ionizers, manufactures a variety of water filtration systems, from this simple pitcher to whole house units. According to them, the Life Pitcher was originally designed to use NASA technology to filter water and changing its oxidation-reduction potential (ORP). This is a fancy way of saying it makes your water more anti-oxidant to neutralize cell-damaging free radicals in the body. The “Next Generation” model of alkaline water pitcher has since improved on the NASA technology which does an even better job of keeping the alkaline water levels high. The size of the pitcher of life makes it easy to take on a road trip or send with your kid to college. The best thing to do before you buy anything is to find out what other consumers of the item you shopping for say about the one they bought. Reviews are the best way to determine if a product is right for you because you get real-world information from actual consumers. 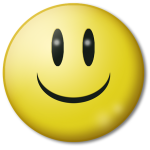 There are a number of positive user reviews on the company website and on Amazon. We’ve summarized the most helpful reviews. One woman claimed it made her dog recovering from cancer treatment feel better. Many love the sleek design that fits in the refrigerator door. Several reviewers noted an increased level of energy after drinking the alkalized water for some time. Others with a whole house water treatment system from Life Ionizers said it was an affordable way to have clean water when away from home instead of buying bottled water. The company has an auto-ship option for replacement water filters that comes with a nice discount. The filters do not last two months like the manufacturer claims – many reviewers said their water is cleaner and tastes good, but only if you change the filters once a month. The filter life is entirely dependent on how much water you drink. Each filter will last approximately for 40 gallons of water. Some people received a pitcher with no filter – one reviewer said he returned two pitchers that he purchased that were sent with no filter. He finally gave up and bought another brand. This is an obvious problem at the manufacturer. We didn’t see this complaint in the more recent reviews. Despite my best efforts, I was unable to find any kind of testing done on the Pitcher of Life to back up the claims that it cleans 95% of contaminants out of tap water and alkalizes it to a pH of 9 or 10. One consumer claims to have tested the water in his pitcher and found it to only have a pH of 6.5, which is slightly acidic. It is important to note the level of alkalinity that can be achieved using a water pitcher is dependent on the starting Ph of the water. 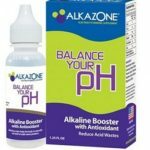 On the manufacturer’s website, they clearly state that an alkaline pitcher can only slightly alkalinize the water. 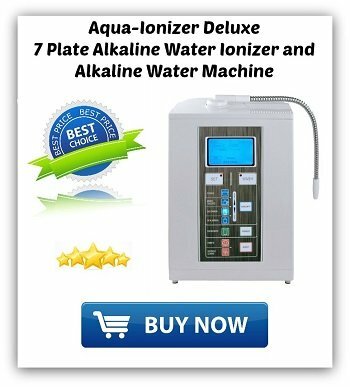 If you have extremely acidic water, it is recommended to buy a full alkaline ionizer system. How much does the Pitcher of Life Cost? The cost of the pitcher is very reasonable at around $50 (Amazon, the manufacturer’s website and eBay). Replacement filters will cost about $20 each. The filters will last for about 40 gallons of water. To figure out how long they last you’ll need to do a little math. 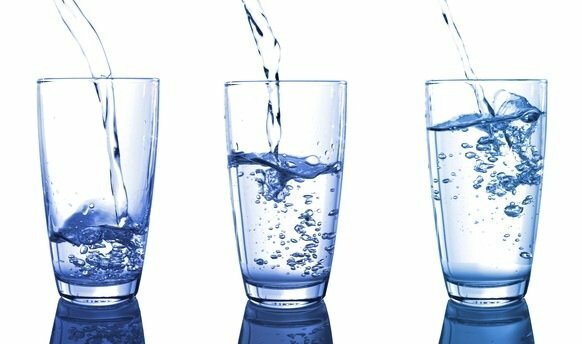 So if you drink the recommended 8 cups or glasses of water a day, you will drink 15 gallons of water a week. At this rate, the filter will last a little over 2 months. Note, the recommended You can save on the filter replacement cost by enrolling in the company’s auto-ship program. Here are just a few of the benefits you will receive when drinking water from an alkaline water filter pitcher. The Pitcher of Life is an affordable solution for anyone who cannot afford to purchase a full home ionizer system. They will produce moderately alkaline water, remove unwanted toxins and produce great tasting water. While they don’t claim to be quite as effective as a full system, the pitcher’s do a good job of improving the quality of your tap water. Buying an alkaline water pitcher is a great way to try out alkaline water for yourself. 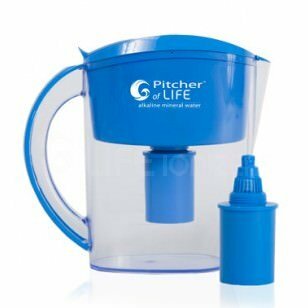 The Pitcher of Life Alkaline Water Pitcher is a popular choice for those who want an easy way to have clean, fresh tasting drinking water. If you decide to buy the Pitcher of the Life, watch this video for cleaning, maintenance and use tips from Life Ionizers.